The Falcon 900 is a three engined, wide body long range business jet. 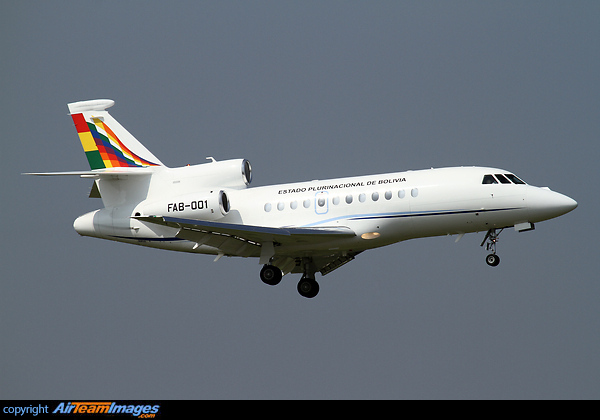 It was derived from the earlier Falcon 50, sharing the same wing but fitted with a much wider and more spacious cabin. The 900 has been developed into a family of versions. The Falcon 900EX is an update of the 900B, with improved engines, giving greater range, plus a glass cockpit. The current production model is the 900EX Easy, with a further cockpit update. 3 x Honeywell TFE 731 (3500 - 4750 lbf) turbofan engines.